Dr, S.R.K Prasad was born in Chennai in 1951- He is basically a chemical engineer with specialisation in Operations Research.He is currently Correspondent and Chairman of Coimbatore Institute of Technology, He obtained his Bachelor’s degree in Chemical Engineering from Madras University with Distinction. Master of Science (MSc) in Advanced Chemical Engineering at Imperial College, London. He obtained his Post Graduate Diploma In Operations Research from MadrasUniversity. He was awarded Doctor of Science Degree (DSc) from U.S.A,(City University at LA)in Operations Research. He started his Industrial career in 1978 by becoming Managing Director of s 60,000 spindle spinning mill with 500 looms in Coimbatore. He applied number of optimisation methods to greatly improve the efficiency in the textile mill. He – was the first to develop and Implement the optimal cotton mixing methodology with a Computer Program in the early 1970’s in the textile industry, thereby effectively saving a lot of money in the textile mill. D.r. Prasad started and built very high technology IT Company in 1988 involved in high-end product development called Kasbah Systems Software of which he is currently Managing Director. Kasbah Systems Software developed the Optimal Feed mix program for the Poultry industry, and this software package is widely being used by the Poultry industry in India, resulting in huge savings for the various poultry farms in the country. The software company has recently released the SHINE Point of Sale system and die complete retail solution being marketed in Europe, Middle East and India. The IT Company has also developed GENIUS University Management System which involves complete automation of a college or university process. This system is being effectively marketed in Malaysia. Kasbah Systems Software is die one of the prime offshore contractors for CCH Inc, U.S.A, a US 6 billion dollar company. The Document Management System (ProSystem fx Document) developed by the IT Company (100% offshore in India), won CCH the CODIE award 2008, the most Prestigious award for Software in U.S.A. The CODIE award is for the software industry what the OSCAR award is for films. Dr. Prasad is also currently Managing Director of Krishna Industrial Corporation Ltd, a 50 Crore enterprise involved in the manufacturing of Single Super Phosphate, Carbon dioxide gas, Chemicals and Bio-Fertilisers. He plans to take this company to ISO Crores in the next three years. He has widely employed process plant optimisation methods to improve the efficiency and working of all units of the company. This is die first Indian company to win the Prestigious Gold Medal award for Excellences in Business Practice given by foundation for Excellence in Business Practice, headquartered in Geneva, Switzerland, September 2007. He is also a Director of the Jeypore Sugar Compnay Limited, headquartered in Chennai,a 500 Crore enterprise involved, in the manufacture of Sugar, Alcohol, Ethanol and Power generation. Professional Member of Operational Research Society of India. Member of NewYork Academy of Sciences, U.S.A.
Best Citizen of India award. He has published a number of research papers in Mathematical modeling and Computer Simulation in leading International Journals. Dr, Prasad was Associate Editor & Paper Referee of Asia Pacific Journal of Operational-Research, Published from National University of Singapore (NUS), Singapore. 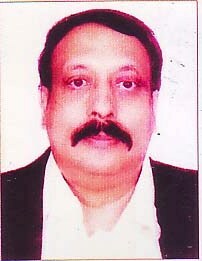 He was the National President of Operations Research Society of India, 1990. Member Board of Governors IIT, Bombay. Chairman Board of Governors Coimbatore Institute of Technology (CIT), Coimbatore, Tamilnadu.